“Do you know why Apple doesn’t do ‘full on’ multitasking? Why it is so incredibly strict about how apps suspend themselves in the background and exactly what location services they use and for how long? Do you know why they reject apps that waste CPU cycles? Why lightning fast push and pull email is still smoke and mirrors…?” It’s the battery. 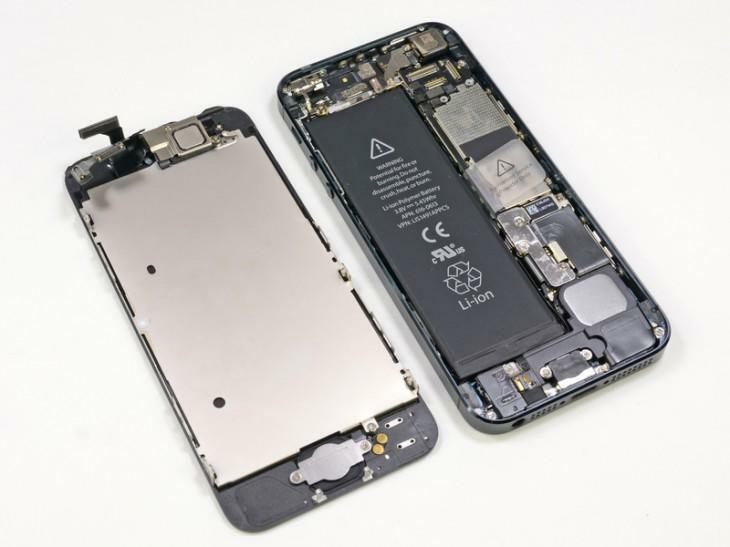 The writer points to Apple’s “cheats,” from rearranging battery arrays, tweaking voltages and even spending millions to design its own energy-preserving processor and LTE techs. And people still have to be stingy with their usage. Many listen to music with powered-down screens rather than admiring album art, turn their general display brightness down, neurotically toggle off Bluetooth and location apps, and being selective about picture-taking and social updates. And that’s just the users. The devs are also handcuffed by battery limitations. If not for that, “developers could do so many cool things running apps in the background or leveraging the iPhone’s powerful sensors and location services more aggressively,” he says. It’s hard to argue with any of that. But the situation isn’t isolated to one handset; the battery problem hobbles all smartphones today — even Panzarino admits that. The predominant one used in today’s mobile devices is the lithium-ion polymer battery, and this type of power source is reaching its theoretical limits for storing energy. It’s clear that mobile is hitting a wall in this area. Advancements in hardware and software are outpacing traditional power cells, to a point where features and utility are being purposely hindered just so these batteries can keep up. And companies are spending a fortune jumping through hoops to work with these tired old power sources, instead of putting those funds into further hardware and software development. That should genuinely dismay or even alarm anyone who considers him- or herself a tech fan. Alternative energy sources aren’t quite there, as wind, solar and kinetic energy aren’t exactly mainstream. Sure, it takes a lot less energy to power a phone than, say, a whole neighborhood, but current mobile offerings are generally more gimmicky than useful. Even so, you’ve got to hand it to the innovators who keep trying. Take the Soccket ball, for example. This Kickstarter project is part power generator, part athletic equipment. 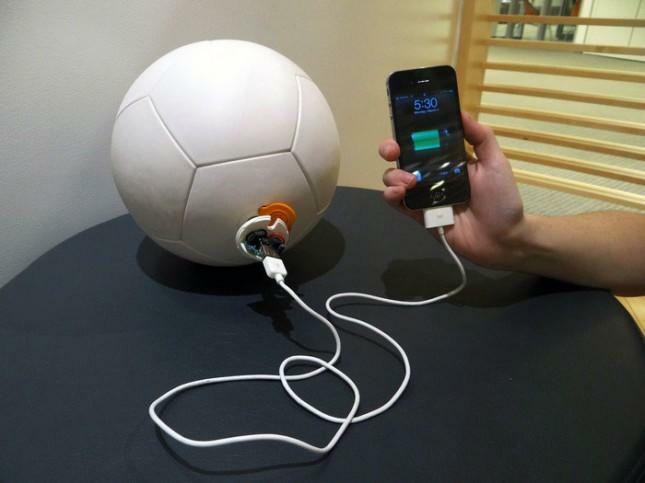 As users play with the ball, it takes that kinetic energy and stores it up to light a LED bulb or even power a device via USB. Of course, this can’t touch the convenience of products like Mophie Juice Packs or other external lithiums. But even if it could, that still wouldn’t address the built-in battery dilemma. External power products are a band-aid, a stop-gap measure, not a solution. No one wants to carry an extra item if they don’t have to, just to fulfill the real-world potential of these smartphones. Back in 2011, Northwestern University’s researchers were working on higher-capacity batteries with faster charging, and they said the technology could hit the market in three to five years. Well, we’re in Year Two now. So it should be coming up soon, right? And what about Rensselaer Polytechnic Institute’s high-power-density graphene paper batteries? Or Kansas State University’s hybrid alternative power–lithium ion batteries with carbon nanofibers? But battery research isn’t limited to just academia. Nevada-based K2 Energy Solutions has been working on new types of batteries that would offer “massive jumps in battery life and capacity.” The firm has been exploring lithium-iron phosphate, lithium-imide and aluminum-ion batteries, and last year, Mark Stoker, VP of Sales, said one of its new technologies could be ready within a year or two. If any of these promises pan out, we could be on the brink of a breakthrough that actually shows up in the market. This is not a platform-specific issue, but one that affects all of these devices across the board. And if mobile makers are smart, this is where they should focus instead of blowing more funds into ways of working with outdated battery tech, or seeking their own proprietary solutions. The answer doesn’t lie in starting from scratch or enabling old techs to wheeze on. We’re at a tipping point now, and what these tech companies do next will determine the state of our mobile usage for years to come. Does battery preservation change the way you use your phone? Tell us if/how this issue affects you in the comments below.